PARABOLA is a family owned Montana business. The products that we offer for sale are the SCOPE-TRU Alignment Bar, US Patent # 8745914; and the RETICLE-TRU Alignment Device, US Patent # 8800154. These tools are designed primarily to be used by the professional gunsmith, technicians working at retail or wholesale sporting goods stores, and the serious at-home guncrank. Each tool will greatly facilitate the telescopic sight mounting process, no matter what your skill level may be. 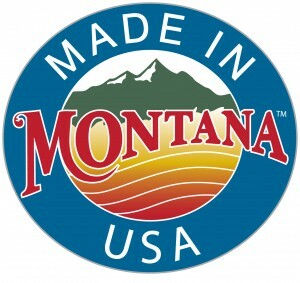 Every part of the SCOPE-TRU product and package is “Made In Montana”. There are numerous different business enterprises that play a specific role in the making, packaging, and marketing of the SCOPE-TRU. Each particular business involved is based in Bozeman, Montana. In addition, the Acetal model RETICLE-TRU Alignment Device is CNC machined from a solid block of Acetal by Midwest Welding & Machine in Bozeman, Montana. The Aluminum model RETICLE-TRU Alignment Device is CNC machined from a solid block of Aluminum by Advanced Innovation in Belgrade, Montana. The plastic clamshell, the shipping box, and the rubberbands for the Reticle-Tru Alignment Device originate from companies outside the state of Montana. It is our sincere desire to provide the very best products for you, our customer. From the initial design, to the production, inspection, sales, packaging, and delivery–you can be certain that you get Parabola quality when you purchase our products–products of the finest workmanship. When you order either a SCOPE-TRU or RETICLE-TRU directly from Parabola, each tool will be inspected, approved, packaged, and shipped by Jerry–the innovator of the tools, and the owner of the business. At Parabola, we aim for accuracy. We aim for perfection. And, we aim to please.